From now on, California will require all new-model semi-automatic handguns to be manufactured with microstamping technology (aka “ballistic imprinting”). This requirement went into effect on May 17th, when the California Attorney General’s office declared that technical and patent barriers to the implementation of microstamping had been removed. To make a firearm compliant, firearms manufacturers must now engrave a gun’s make, model, and serial number on two distinct parts of each gun, including the firing pin, so that, in theory, this data is imprinted on the cartridge casing when the pistol is fired. If the microstamp on the end of the firing pin wears out, then the gun is considered “unsafe” under California law, and the owner may not sell or transfer the gun. California’s microstamping law was enacted way back in 2007. However, by its terms, the law did not go into effect until the technology was mature and patent rights were resolved. With the State government claiming that microstamping is now practical, new gun models must have microstamping capability in order to be approved for civilian sale in California. This will, eventually serve as a de facto ban on new-model semi auto handguns in California. Brandon Combs, Executive Director of the Calguns Foundation, explains: “Manufacturers are not going to create a special run of firearms with all of these very burdensome manufacturing technologies just so they can comply and produce firearms for one market.” At present, as far as we can determine, no major gun-maker currently offers a microstamping-capable, semi-auto handgun for sale in the United States — not a single one. What we can expect is that, in time, as handgun manufacturers replace old models with new models (or make modifications to existing models), fewer and fewer new semi-auto pistols will be offered for sale in California. If, for example, Glock updates its Glock 17, the new model could not be sold in California unless Glock outfits it with microstamping capability. NRA Attorney C.D. Michel says that microstamping is a flawed and impractical technology: “This is not going to help solve crimes. [Microstamping] is easily defeated… and can be used to lead police down false alleys.” Michel notes that criminals can easily defeat the microstamp by filing the tips of firing pins. Overall, Michel believes, microstamping will not reduce crime, but it will cut off the supply of handguns available to Californians. He stated the the NRA plans a legal challenge to the implementation of microstamping in California. Criminals could collect discarded brass from a firing range and salt crime scenes with microstamped cases, thereby providing false evidence against innocent people and increasing the workload for investigators. Microstamping is easily defeated. Inexpensive files will remove microstamping. Firing pins are normally replaceable and can be changed with simple tools or without tools. Firing a large number of rounds will wear down the microstamp. Microstamping is an immature technology, and has not been subjected to sufficient independent testing. Transfer of microstamped marks to the cases is less reliable than proponents claim. Share the post "California Pistol Micro-Stamping Requirement Goes into Effect"
Ruger has created a series of videos showcasing Metallic Silhouette, IDPA, SCSA (Steel Challenge), and USPSA shooting events. Log on to Ruger’s Beginner’s Guide to Shooting Competitions webpage to see informative videos on each of these popular sports. Below you can find the Video on Metallic Silhouette and the Video on SCSA Steel Challenge pistol competition. 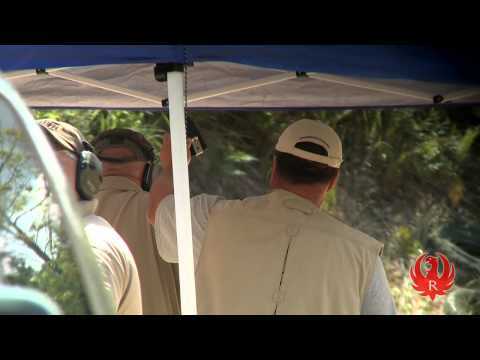 Silhouette is a great family sport and the Steel Challenge is the ultimate pistol speed-shooting event. 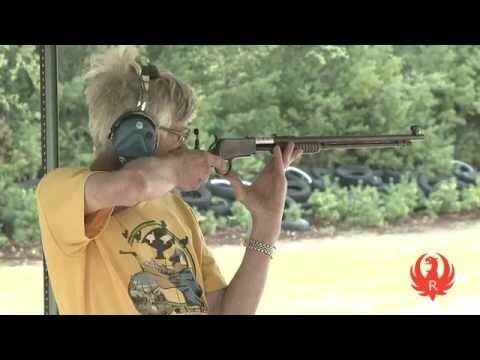 Share the post "Ruger Shooting Sports Introductory Videos"